The three-level, tiki-themed beachfront haven (the sign atop the Beach Bar downstairs will remind you today is, ahem, 'just another day in paradise') mingles sea breezes with summery cocktails. Potted palm trees, cane furniture and Easter Island-ish statues complete the tropical-island setting. The atmosphere feels like a daydream had by Dr Jacoby from Twin Peaks, with an ambient dance/hip-hop soundtrack. 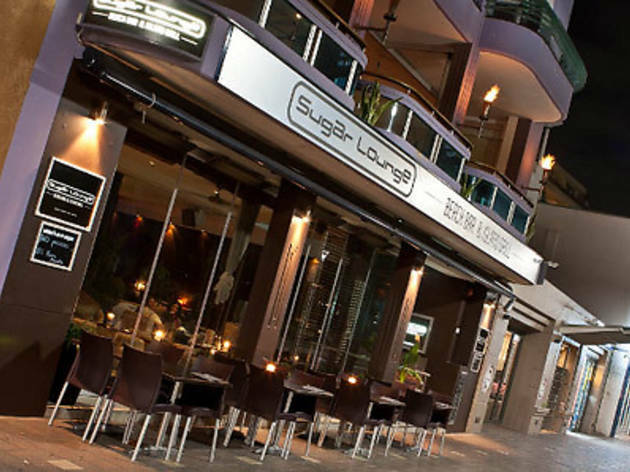 Sugar's very (unless you sit near the entrance) dimly lit. If you're drinking here, you'd better love rum - most of cocktails ($16-$23) use it as a base spirit. The most extravagant of the lot is the Zombie – containing rum, absinthe, “sweet, sour and fire” – which comes out in a tall glass topped with a flaming passionfruit skin filled with OP rum. An excellent non-rum cocktail is the Spring Revolution - vodka-based, full of peaches and raspberries and refreshingly tart. 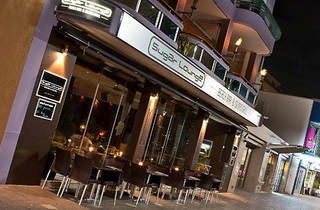 If Manly is paradise lost, then the Sugar Lounge is paradise found.